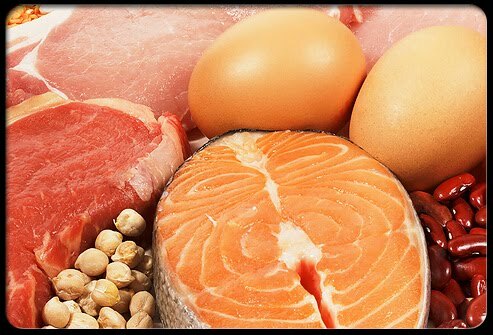 There's no doubt about it, high protein diets help you burn more calories. A study conducted at Arizona State University East, illustrated the thermogenic property of protein. 10 subjects aged 19-22 years consumed either a high-protein or high-carbohydrate diet and then their energy-production was measured 2 1/2 hours after the meal. The researchers found that when compared to the high-carbohydrate diet, energy production was 100% higher on the high-protein diet. Over the course of the day, post-meal energy production on the high-protein diet totaled 30 more calories at each test time. The author speculates that if this energy differential actually lasted for the 2-3 hours after each meal (since each test point was 2 1/2 hours after each meal), the added thermogenic effect of the high-protein diet may have been as high as 90 calories. The high-protein diet contained 2 grams of protein per kilogram of body weight per day (about 1 gram of protein/pound/day).